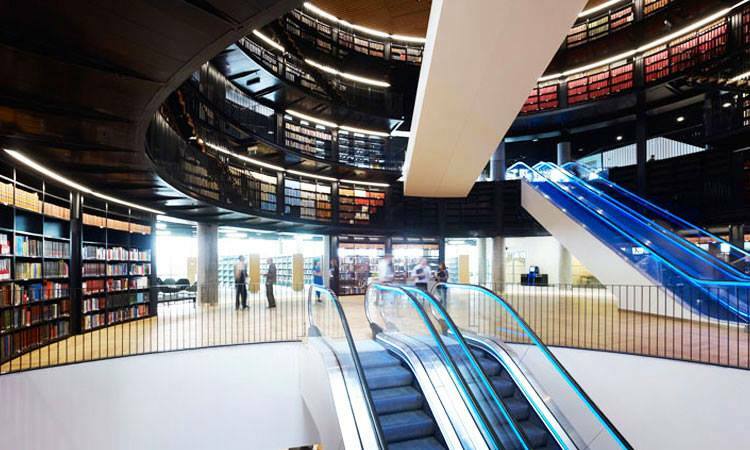 The quietness of the libraries is considered to be an ideal places where you can improve your mind and imagination. 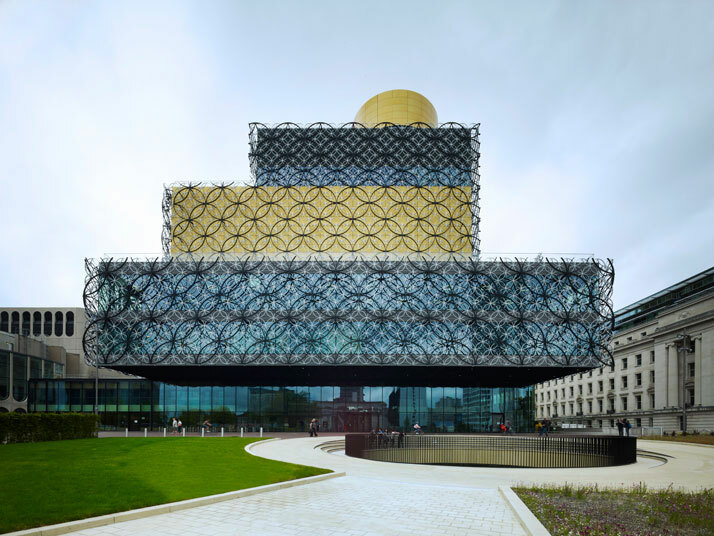 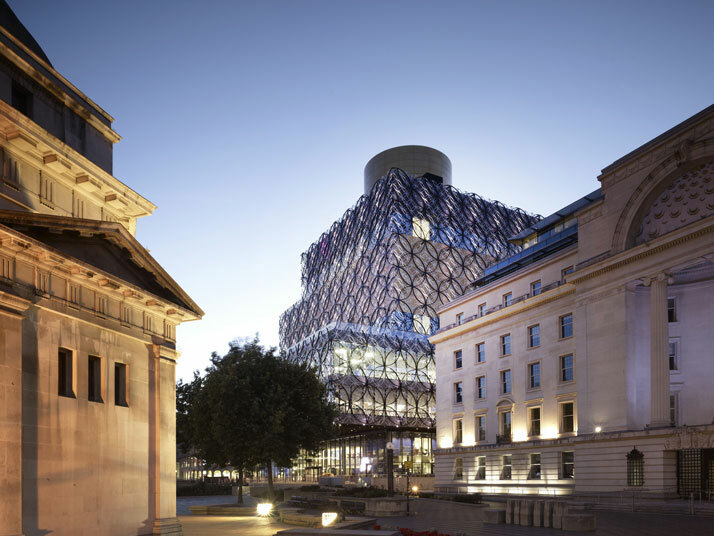 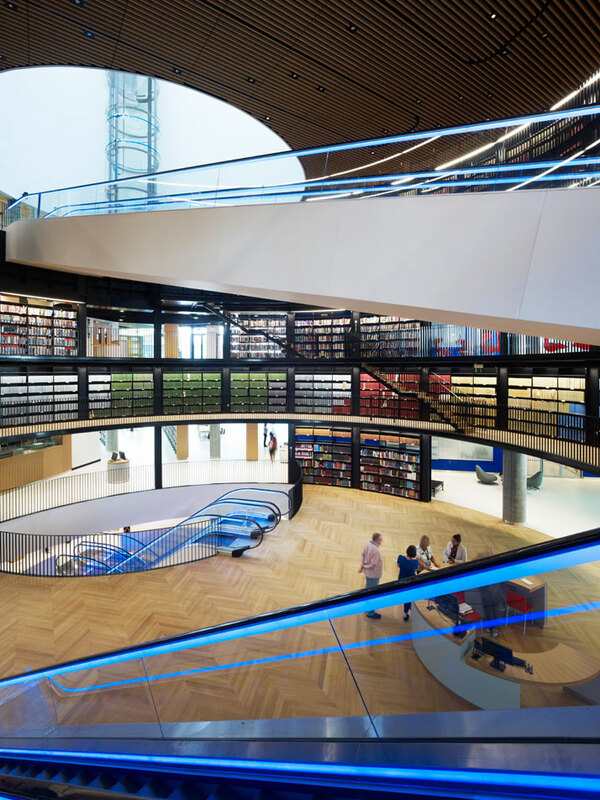 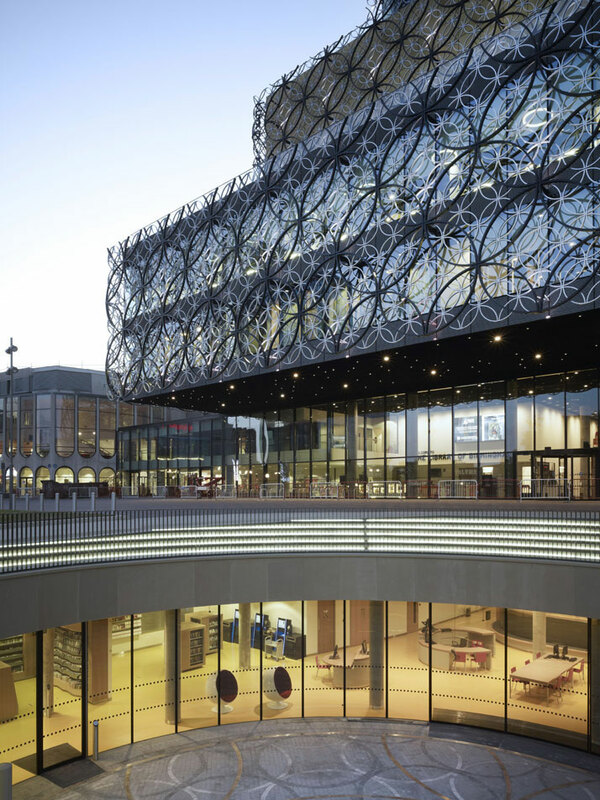 The library of Birmingham in the United Kingdom has such a modern and pleasant architecture that will definitely give you a taste for reading. 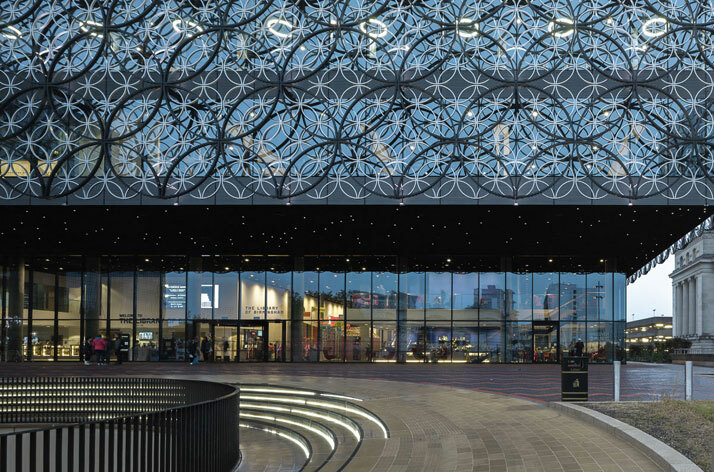 We take you to this exceptional place. 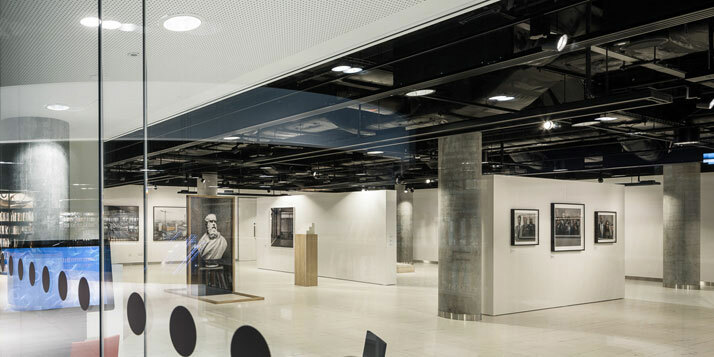 This is one of the greatest European cultural centers. 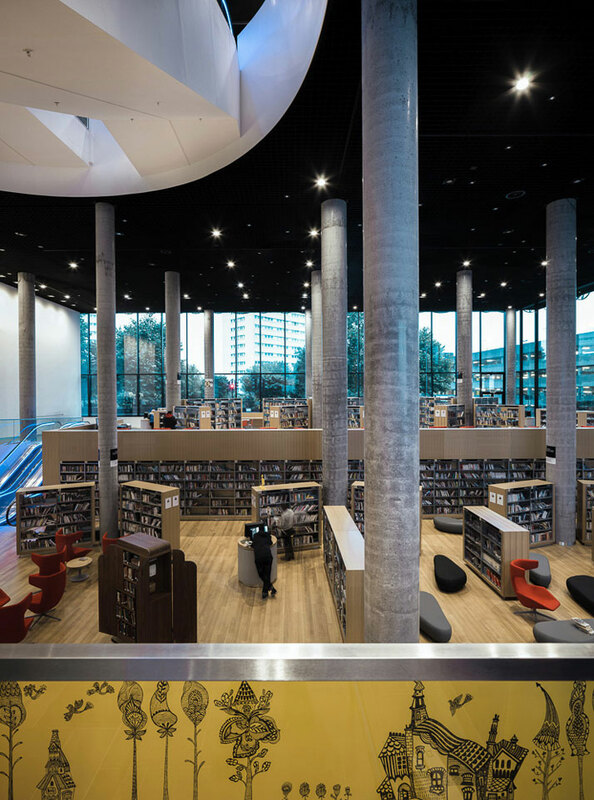 Opened to the public on September 3, 2013, this fabulous library project has cost a whopping $ 226,279,000 euros. 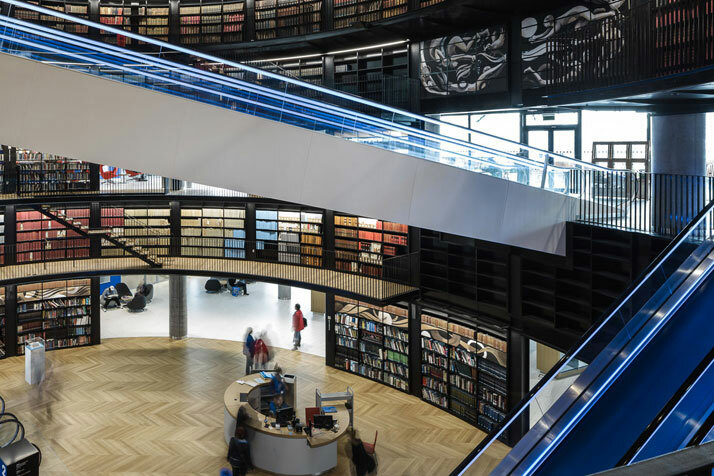 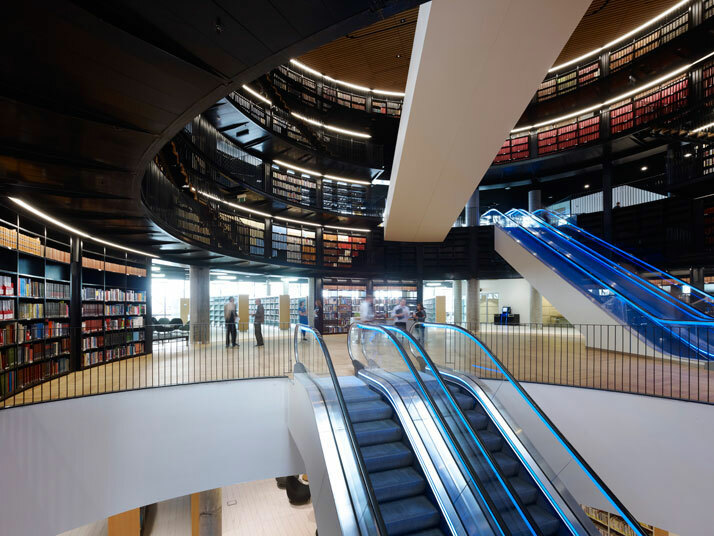 This 35,000 square meters library has been constructed by the Dutch architectural firm Mecanoo Architects . 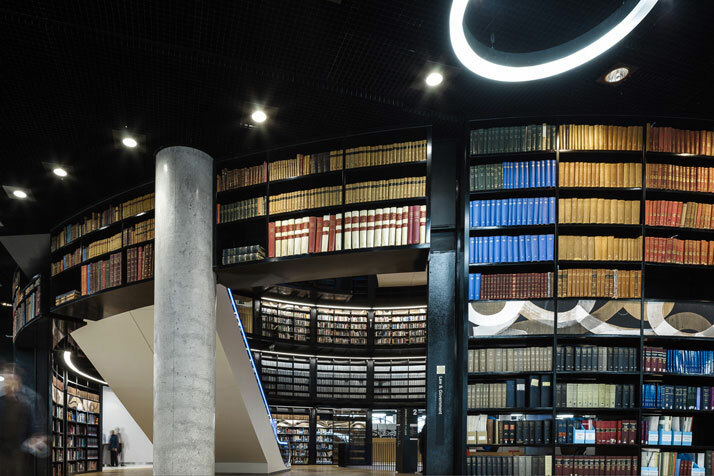 In this cultural center, you can obviously find books and reading rooms for adults and children, but you will also find: a relaxation areas, a health center, a music library, a multimedia archive, offices, auditorium of 300 seats and spaces to hold exhibitions. 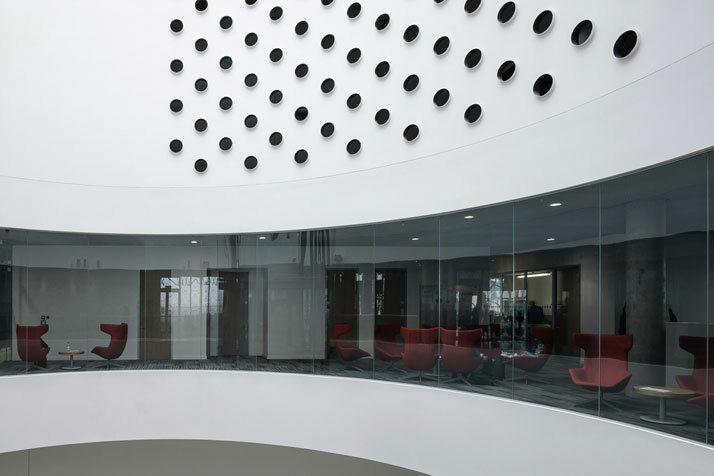 The building itself is transparent, with a light watermark coating inspired by the traditional local culture, which allows light to penetrate throughout the building. 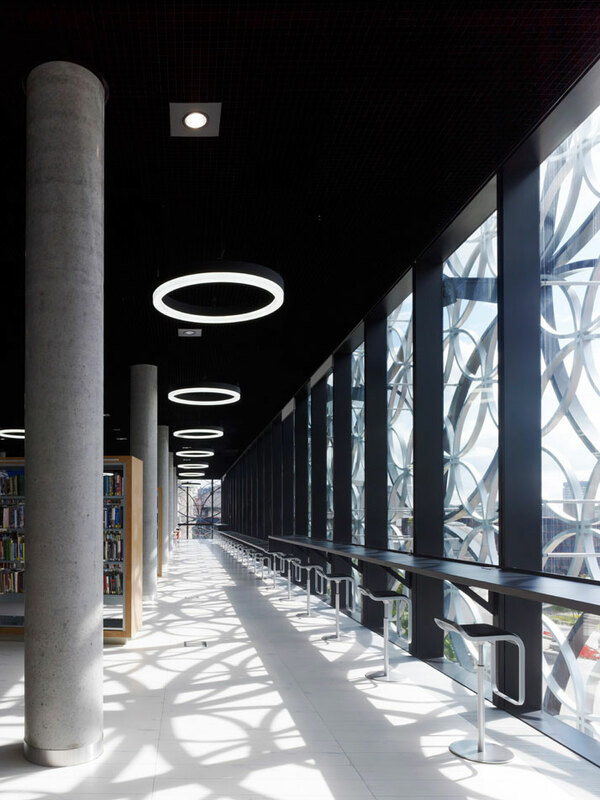 The building is dominated by admirable aluminum ring structures built in Germany which give it a unique look. 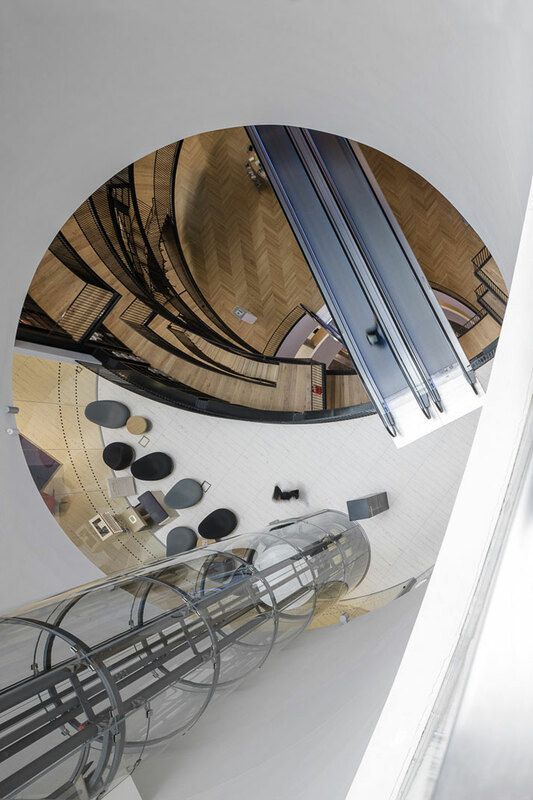 Hidden behind these rings is an ecological ventilation system, where cold water is pumped directly from the earth to flow in the building floor to reduce emissions of carbon dioxide of the building. 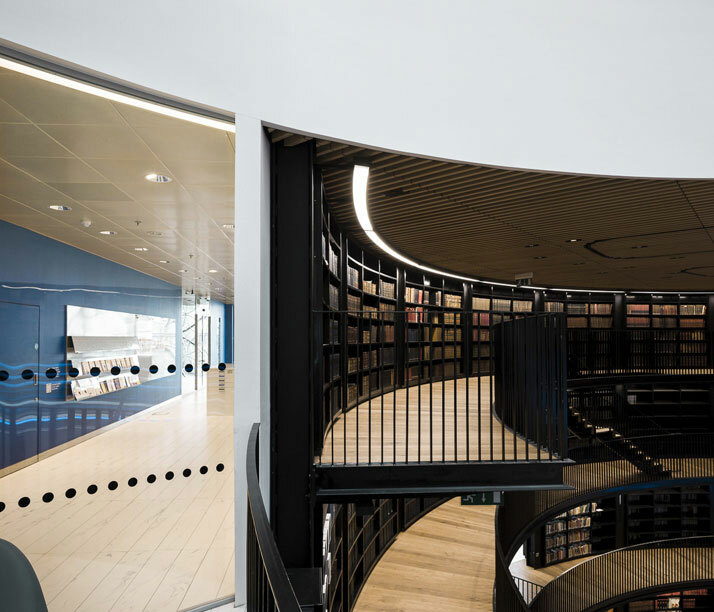 The interior is itself equally impressive. 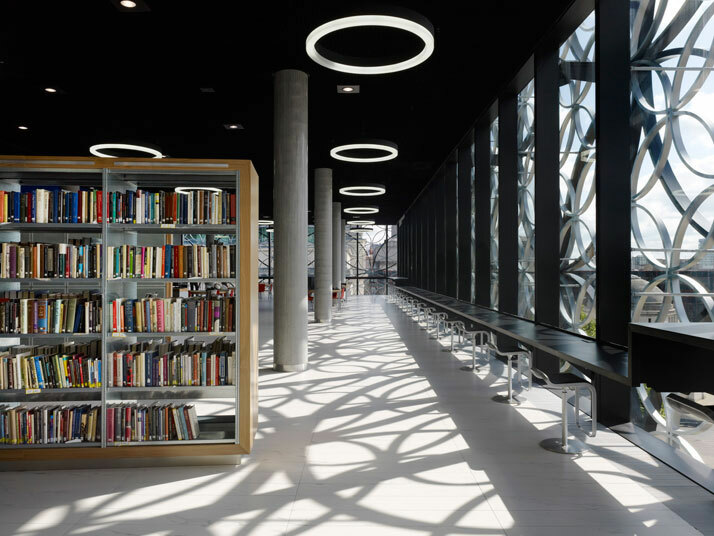 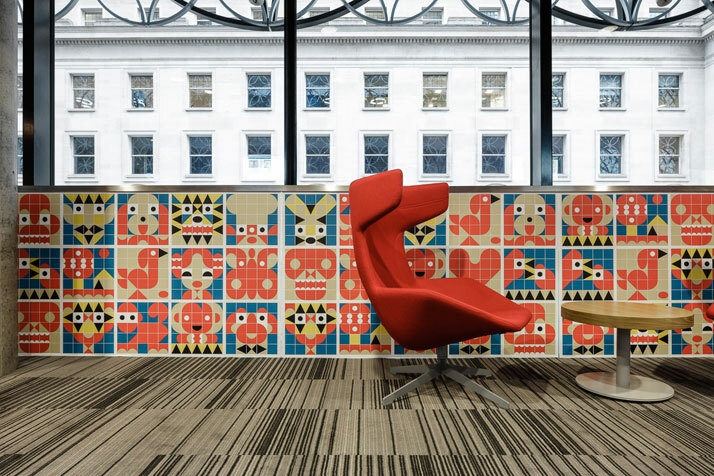 Sophisticated, modern and bright, it has an effect of large open space while maintaining the silence and intimacy of a library. 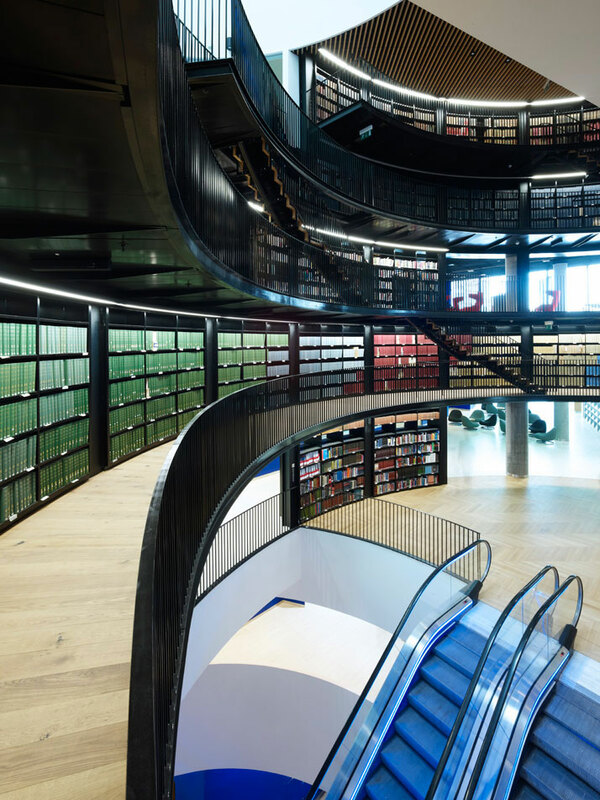 The most interesting room is nevertheless “The Rotunda” at the top of the library. 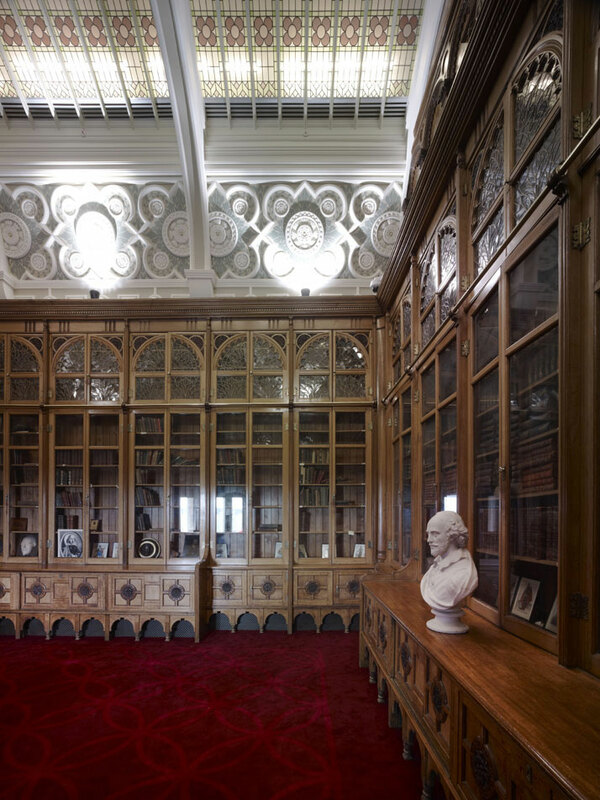 Originally designed by John Henry Chamberlain for The Birmingham Shakespeare Library in 1882. 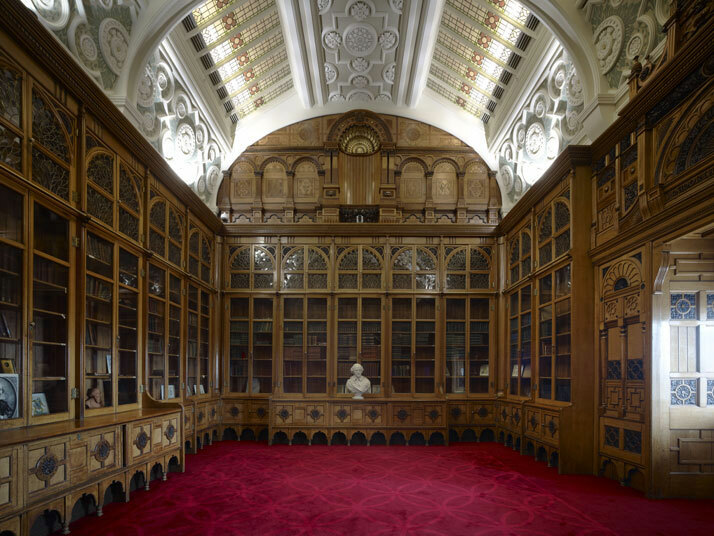 This room was dismantled and relocated to this incredible cultural space, and stands a real tribute to the memory of Shakespeare. 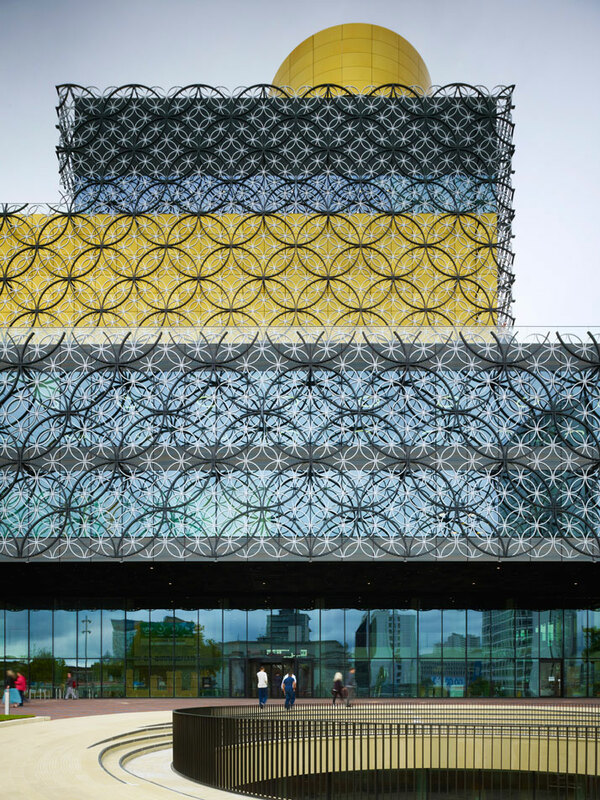 This kind of building is just incredible. 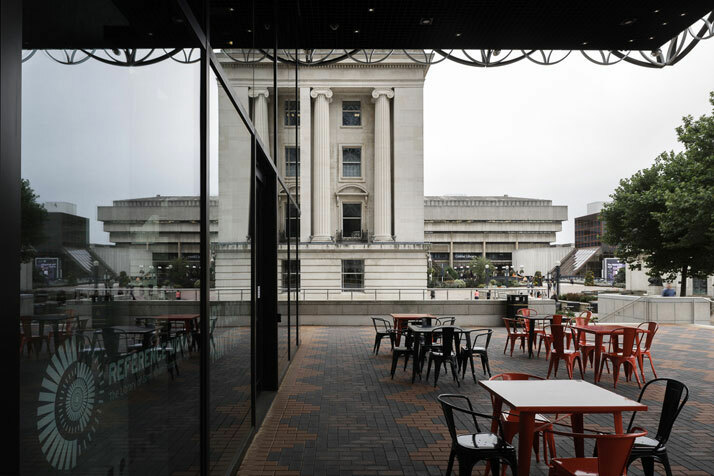 We are delighted by such a wonderful cultural space and we would like to spend an afternoon there! 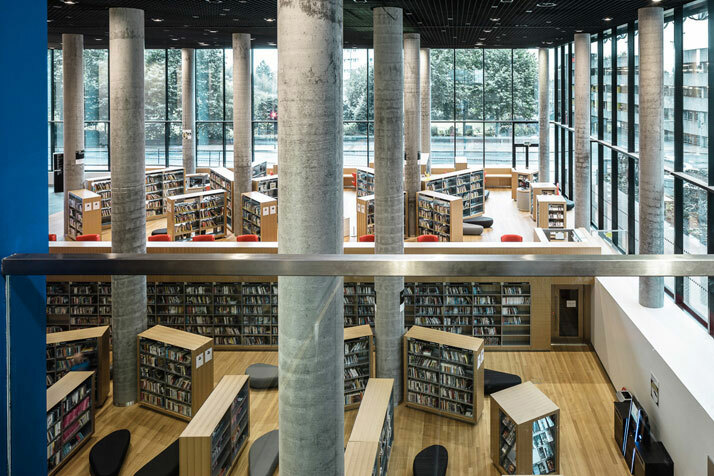 How do you find the architecture of this library?